Karl Lagerfeld and I wore born on the same day which I think is pretty epic .. September 10th! He is my fashion hero — anything Karl or anything Chanel or anything Coco Chanel – I pay attention to and this happened to pop up on my computer today Check this out… and of course there will be stories of Karl Lagerfeld at Fendi as well – double fashion story ! Chanel and Fendi’s enigmatic creative director Karl Lagerfeld is coming to TV5MONDE Cinema on Demand! On Friday, June 26th Karl sets the record straight in Lagerfeld Confidential his most revealing fashion-based documentary to date. Known as “The Master of Reinvention”. 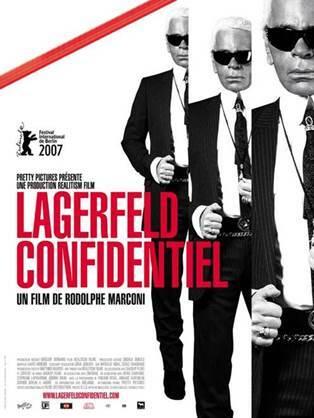 With a behind the scenes look at Lagerfeld’s design studio, childhood photos, fashion shows and his Parisian-styled apartment, Lagerfeld Confidential is a complete 150 hour video diary directed by Rodolphe Marconi, giving a candid portrait of his fashion empire and the rebirth of Chanel.